The Nigerian Ports Authority (NPA) on Wednesday said that in the past few years the organisation’s efforts have been to position the nation’s ports to compete favourably within the sub-Saharan Africa, Gulf of Guinea and most importantly, compete in the international community. 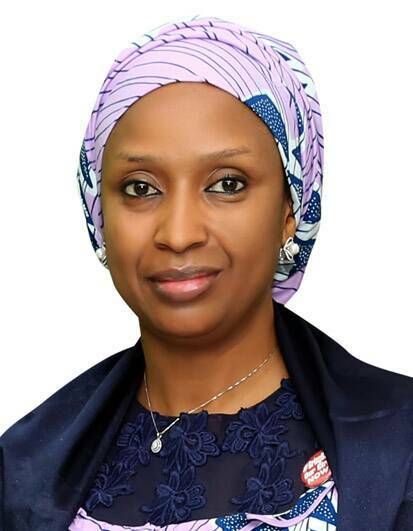 Managing Director of the Authority, Ms Hadiza Usman said that this was why the management was recognized by the International Organisation for Standardization (ISO 9001 and the OHSAS 18001 Certification for positive steps in moving the sector forward. She spoke on the occasion of the workshop on ‘Data & Investigative Journalism Training for Maritime Journalists’ organised by Premium Times Services Limited on Wednesday, and said a lot of progress have been made in the areas of safety, environmental protection, operational efficiency and improved service delivery. The NPA MD who was represented on the occasion by the General Manager, Corporate and Strategic Communications of NPA, Engr. Jatto Adams, added that the authority is currently experiencing reduced operational expenses, better management control, increased customer satisfaction and improved customer service delivery. According to her, this has made the ports attractive before investors for national growth and development. Usman identified the commissioning of the Command and Control Communication and intelligence centre for NPA which would serve as surveillance of all activities and as an information network centre for security agencies in the ports as among the achievements of the authority. Others include acquisition and commissioning of four new tub boats to improve on operational efficiency, upgrade of 25 years port development master plan and transformation of NPA’s manpower development practices to improve the skill, knowledge and capacity of employees. She also identified the reconstruction of the port access road and commissioning of a simulator centre for the training of pilots as among the achievements recorded by the organisation. She added that the management was determined to re-position the ports to continue to enjoy operational diligence as part of the efforts to enthrone the ease of doing business in the ports.